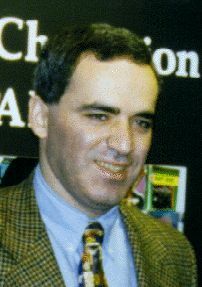 ''Seal Of Approval'' Anand,V (2725) - Kasparov,G (2795) PCA World Ch final, New York (11), 1995: If the World Champion (and arguably best player to ever walk the planet) condones it, it can't be bad! Here I would like to cover any Sicilian Dragon or Accelerated Dragon games that may have been significant in the development of the opening since the dawn of time! In addition it may be fun to scrutinise some entertaining and/or particularly instructive encounters from any of the leading heroes (or I guess depending on which way you look at it, villains too!). ''Sac Sac Mate'' Fischer, R - Larsen, B Portoroz izt 1958: It's probably fair to say that America's (and many believe the World's) greatest ever player didn't have a particularly high opinion of the Dragon. His recipe for extinguishing the fire was rather unsubtle! ''The baby's bottom'' Karpov,A (2700) - Korchnoi,V (2670) Moscow World Ch Moscow, 1974 They don't come much smoother than this ultra famous encounter. Of course though opening theory has long surpassed this!